Pinewild Country Club of Pinehurst provides a spacious 900 plus sq.ft. Golf Shop staffed by PGA professionals offering a wide selection of apparel, equipment and more. Top name brands such as Vineyard Vines, Donald Ross, Footjoy grace the floor, along with the top names in equipment from Mizuno, Titleist, PXG, etc. We pride ourselves in accommodating the needs of our Members and Guests alike. 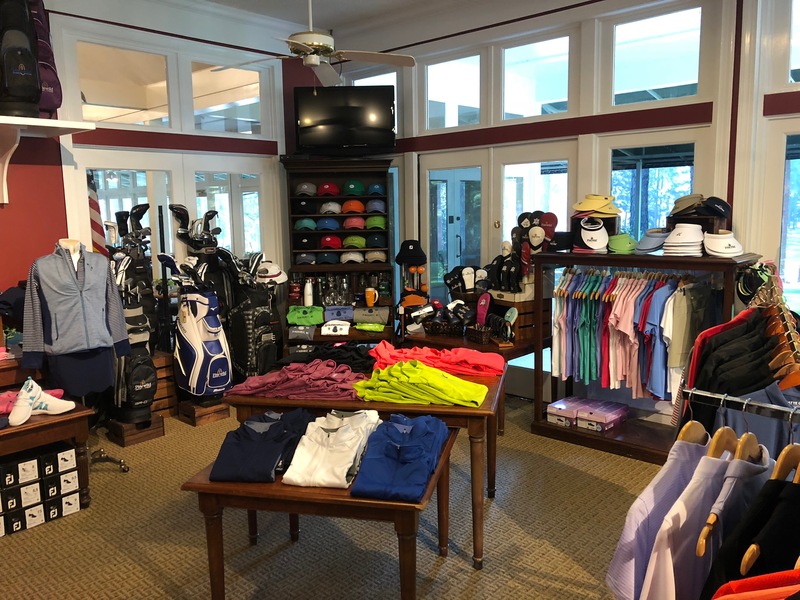 Our professional Golf Shop staff is available to answer any questions you may have on product, or help with placing a special order, should you need something not found in our shop. Whether it is for the course, a house warming gift, or a simple memento to help you remember your Pinewild experience, visit the Golf Shop…it would be our pleasure to assist you.